Illovo is a leading sugar producer and a significant manufacturer of downstream products. The group is Africa’s biggest sugar producer and has extensive agricultural and manufacturing operations in six African countries. The group produces raw and refined sugar for local, regional, European Union (EU), United States of America (USA) and world markets from sugar cane supplied by its own agricultural operations and independent out growers who supply cane to Illovo’s factories. Umbombo Sugar was built in 1965 and currently employs 3000 people. Before the expansion, the plant was producing 220 00t of sugar per year. After the expansion 300 000 t/year of sugar will be produced. A new boiler with a capacity of 105t/hour and a power of 25MW has been installed and insulated with ULTIMATE products. 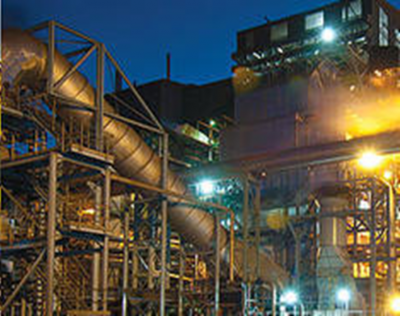 The Sugar Mill Maintenance program was completed in 2011 and the installation was done by ISECO, a contractor company based in Nelspruit (South Africa). The unique lightness of ULTIMATE Products compared to traditional Stonewool was found to be beneficial to save on installation costs. Compared to locally produced Stonewool, ULTIMATE Products were found to be easier and quicker to install. Transport savings were also seen as the product was compressed in order to achieve a larger volume being transported per truck load, enabling more savings. Overall the unique lightness and flexibility of ULTIMATE allowed for a faster installation and significant cost savings. The project scope entailed thermal insulation for boilers and the natural choice was to use ULTIMATE U Thermo products. The application temperature ranged from 170 degC to 425 degC and saw 1800 m2 of ULTIMATE U Thermo Matt being used. ISECO was very happy with the product and will be using ULTIMATE in future maintenance programs.